As much as he tries, Woo-jin can’t ignore Seo-ri because there’s something about her that brings out his protective side, and his increased worries coincide with Seo-ri’s deepening interest in Mr. Gong. Chan officially makes it a triangle, though the poor boy doesn’t quite realize that he’s suffering from the first pangs of love. As if matters aren’t complicated enough, Woo-jin is forced to confront his greatest fear. Woo-jin is at work in his bedroom when a leaf flutters down from the open skylight. He sees the moon overhead and twirls the leaf with a smile, until he hears someone wailing. Seo-ri tells him that her eyes burn and fumbles her way to the kitchen. Woo-jin holds up an onion and when the men peek inside her room, they’re taken aback by the bags of onions from a Chinese restaurant. Seo-ri sits with an ice bag on her eyes while Woo-jin summarizes — she has a part-time job peeling onions for a restaurant, one of the few jobs that doesn’t require experience. Seo-ri explains that she must repair her violin and hints that she’ll have more expenses if she doesn’t find her uncle. When Woo-jin notices Deok-gu in Jennifer’s arms, she explains that onions are harmful to dogs so she wants to keep him safe. Barely able to open her eyes, Seo-ri insists that she’s fine and sends everyone back to bed. Woo-jin shares that he was once hit in the face with leeks and learned that fresh air relieves the burning. Chan looks ready to take on his uncle’s attacker so Jennifer slips away. Chan finds Seo-ri in the garden and checks on her eyes but his gaze falls on her lips (Uh-oh). He backs away but becomes curious when he sees Seo-ri’s special way of looking at the moon. Seo-ri explains that her mother taught it to her and a flashback shows Seo-ri with her mother on a walkway. Her mother insisted that the rabbit bow hold would coax a wish-granting rabbit from behind the moon. The memory ends as mother and daughter gaze together at the moon while Chan smiles at the thought of Seo-ri as a child. Seo-ri holds up her hand to look at the moon while Woo-jin opens his window, unable to see her signature pose below. For just a few seconds, we flashback to Seo-ri and Woo-jin as teenagers, as he watched her gaze at the moon from a walkway. In the morning, Seo-ri mixes up some dough in the kitchen until she hears Deok-soo and Hae-bum yell to Chan that it’s time for school. When Chan asks the boys to help with the onions (now enclosed in a small pen), Seo-ri runs out, worried about their eyes. When Jennifer reminds the boys that it’s time for school, she’s confronted by four masked helpers peeling onions. Deok-soo complains that he can’t breathe and pulls off his mask and everyone else follows his example. Hae-bum offers to buy Seo-ri a new violin until Jennifer explains that Seo-ri’s violin is a two-hundred year old masterpiece from Italy worth up to 500 million won. Deok-soo wonders how Jennifer knows all that information and she suddenly remembers that she has to get back to work. Hae-bum and Deok-soo want more information on the housekeeper but Chan and Seo-ri know nothing. Seo-ri’s dough sits in a bowl, her hand print visible on the surface. Chan places his hand over it and observes with a smile, “She’s smaller than I thought.” When Woo-jin finally comes downstairs, Deok-soo irritably announces that he’ll be outside. In his hurry, Woo-jin almost trips on the plant so Seo-ri promises to put it back. He tells her to leave it so that it can bloom and spreads out his fingers for emphasis just like Seo-ri does. Suddenly self-conscious, Woo-jin walks out while Se-ri beams. Hee-soo arrives at work and complains when Woo-jin fails to greet her. She blames his lack of friends on his lack of manners but suddenly remembers Seo-ri. Hee-soo wants to know why she calls him “Ahjussi” and Hyun wonders if it’s the “pink” woman who dropped off an elaborate lunch. Cornered, Woo-jin leaves for a meeting with the promise that he won’t be back. At home, Seo-ri calculates how much money she needs to support herself, disappointed that her meager earnings are nowhere near enough. She takes a moment to wonder if there is a way to earn money quickly. Woo-jin meets with his clients at a restaurant and becomes distracted when he sees Seo-ri through the window, wearing makeup. His voice drifts off when he sees her walk into a bar and he remembers that she pledged to do anything to fix her violin. Woo-jin rushes to wrap up the meeting and then races out of the restaurant. He walks into the bar and interrupts a couple of beefy bouncers on a lunch break to ask if a woman just walked in. They insist that no one entered but Woo-jin doesn’t believe them. He calls out for Seo-ri and then runs to check the private rooms. The bodyguards carry Woo-jin out to the street while he yells out frantically for Seo-ri, just as she emerges from the building in bright makeup. Woo-jin wants to know why Seo-ri is in the area so she shows him some socks that she just picked up for work. Exasperated, Woo-jin asks about her face and Seo-ri suddenly remembers the bright makeup samples that she applied too heavily. When Woo-jin explains that the makeup gave him the wrong idea, Seo-ri realizes that he assumed that she went into the bar. Embarrassed, Woo-jin walks away and leaves behind a shoe that fell off when he was carried out. Seo-ri returns it but discovers gum on the bottom of his sock, so she offers him a sample that the factory owner gave her. People on the street stare as Woo-jin wears one lace trimmed sock. Seo-ri worries about how it looks and when he insists that he doesn’t care, she remembers that he said the same thing when it looked like he had poop on his pants. She tries to understand why Woo-jin thought that she was at the bar and when he refuses to answer, she follows him with even more questions. Chan’s rowing team skims across the water until he suddenly drops his oars. His chest itchy, Chan assumes that he was bitten by a bug. On shore, Hae-bum and Deok-soo look at Chan’s chest and decide that he must have dry skin. Woo-jin and Seo-ri stroll through a park when she asks how long he’s known her name, because he never used it before. She’s thankful for his concern and he can’t help but smile when she promises that she won’t do anything shameful to earn money. Seo-ri runs off when she sees a fountain, surprised by a sign on the ground that reads, “Drinking water.” She can’t believe that fountains now contain drinking water even though Woo-jin isn’t confident that’s true. Seo-ri drinks the fountain water and encourages Woo-jin to join her. When a park employee finds the sign on the ground, he returns it to a drinking fountain nearby. Woo-jin can’t help but laugh at the look on Seo-ri’s face when she’s forced to spit out a mouthful of water. Woo-jin carries the socks while Seo-ri tries to decide whether or not her stomach hurts. She suddenly remembers the socks and is about to run back for them until Woo-jin shows her the sack. Seo-ri declares Woo-jin a good person but she finds it strange that he tries to hide that fact. Woo-jin stops in his tracks as Seo-ri continues, “It’s as if your heart is all curled up.” When she sees him, Seo-ri apologizes, “Oh I forgot, You told me not to make assumptions.” A well timed phone call from the valet at the restaurant rescues Woo-jin — it seems that he forgot to pick up his car. Woo-jin sends Seo-ri ahead and watches her walk away as he ponders her words, “I think you’re trying to hide that you’re a good person.” Once he continues on his way, Seo-ri turns and sees Woo-jin puts his earbuds in his ears. Woo-jin apologizes to the valet when he picks up his car and then asks himself, “What am I doing?” In his car, Seo-ri’s explanation that Woo-jin is the same age as her homeroom teacher puzzles him. With his chick by his side, safe in its pen, Chan finishes some exercises in the garden and then stares into the sky. He thinks of Seo-ri and wonders, “How does she still believe that? It’s cute.” When he tries to copy her rabbit hold, Chan’s chest gets itchy. In her room, Seo-ri sorts the socks and recreates Woo-jin’s screaming of her name outside of the bar. The memory makes her giggle bashfully and then she begins to hum. At his desk, Woo-jin catches sight of the lace trimmed sock and thinks of Seo-ri at the fountain. Then he remembers how she confronted the bouncers in his defense and admits, “I guess she’s kind of cute.” A breeze blows in from the skylight and Woo-jin looks up at the moon with a smile. On the way home, Jennifer turns and points a dried fish at Ri-an, only to realize that she’s headed for Woo-jin’s house. When Ri-an learns that Jennifer is the housekeeper, she introduces herself as Chan’s girlfriend only to be told, “Tripping over the same rock twice will result in humiliation.” Ri-an correctly credits the words to Cicero, to Jennifer’s surprise. When Chan and his friends arrive, Ri-an is relieved to hear that his uncle isn’t home. She’s confused by Seo-ri, certain that Chan doesn’t have a sister. 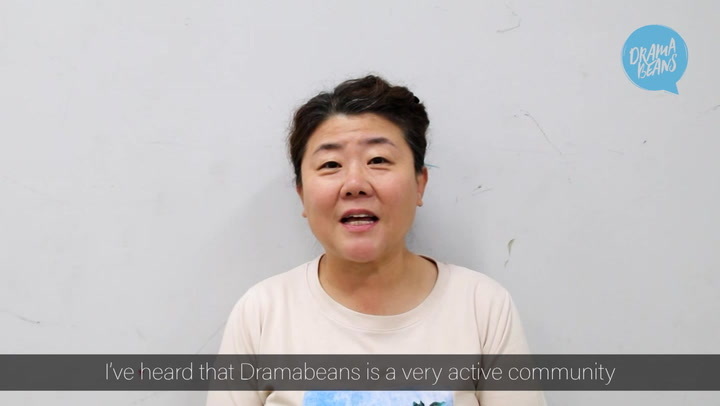 Hae-bum explains that she’s is a former resident who arranged to live at the house for a month. Ri-an introduces herself as Chan’s girlfriend but when he insists that they’re just friends, she explains that’s because he won’t date until he wins the nationals. Seo-ri can’t take her eyes off of Ri-an and the girl assumes it’s because she’s pretty but it’s the school uniform that Seo-ri finds pretty. Hae-bum and Deok-soo burst out laughing but Chan looks at Seo-ri sadly. Chan notices Seo-ri’s eye twitch and when she blames it on some dust, he leans in very close to help her. A jealous Ri-an manages to spill juice on Seo-ri’s only clothes and when she runs to the bathroom, Chan decides to offer her some of his clothes. Ri-an stops Chan when she grabs his ankle but he sends her upstairs to wash her sticky hands. When Ri-an walks out of the bathroom and realizes that Woo-jin is home early, she dons a Buddha mask and runs past him all the way to the street. Vowing not to give up, Ri-an walks away while the mysterious woman in yellow stares at Woo-jin’s house from the street. Woo-jin gets an impish smile when he sees Seo-ri drinking water and deadpans, “I put fountain water in that one.” She spits it out and then he admits, “I’m kidding,” and gives her a fresh glass of water. Pleased with his joke, Woo-jin smiles to himself all the way up the stairs. Seo-ri walks home with another bag of socks when she sees a banner about a missing person. She informs the installer that she needs to look for someone but discovers that the ad is expensive and there’s a months-long waiting list. Seo-ri gets home just as Jennifer walks by with the plunger for the skylight. The housekeeper plans to use it on a toilet that won’t flush properly and suspects that Woo-jin is responsible since she found the plunger in his room. Horrified, Seo-ri tries to explain that it’s not that kind of plunger just when Woo-jin shows up and explains that it’s for the skylight. Thrilled that he saved the plunger from a terrible fate, Seo-ri hums and skips away, her good mood witnessed by Chan. Seo-ri prepares to give Deok-gu a snack but she can’t remember how Woo-jin wanted her to serve it. She finds him asleep at his desk and can’t resist walking into his room to gaze at his face. Seo-ri smiles as she studies every feature but when Woo-jin stirs, she drops to the floor and crawls out to the hallway. Seo-ri runs out to the street and when she seesWoo-jin, she chases after him and calls his name. A cramp stops her but Seo-ri sees Woo-jin walk away with the earbuds in his ears and remembers that they’re never connected to anything. Seo-ri walks home in mismatched sandals and arrives just as Ri-an steps out of a taxi, laden with bags. Inside, Ri-an offers clothes to Seo-ri with the excuse that she planned to donate them anyway. In a tae kwon do studio, Jennifer expertly breaks board after board with one high kick after another. When one of the fragments hits her in the back, she falls to the floor. Dressed in her new clothes, Seo-ri lets herself into an apartment as we hear Jennifer’s explanation that she cleans it every other week after her workout. She asked Seo-ri to go in her place and she cleans the apartment per Jennifer’s detailed instructions. When she dusts a table, Seo-ri knocks over a picture that includes Hyung-tae in a group photo. Seo-ri then sees an award for Kim Hyung-tae and thinks about her old friend. Seo-ri exits the apartment building just before Hyung-tae returns. She remembers that she was supposed to pick up the payment on her way out so she returns to the apartment, unaware that Hyung-tae is asleep in the bedroom. Hyung-tae wakes up when he hears someone but the only proof that someone was there are some mismatched slippers. The sight of the slippers triggers a flashback for Hyung-tae, who remembers Seo-ri in the days before the accident. Young Hyung-tae ran up to Seo-ri at school and informed her that she had on one black shoe and one white shoe. Hyung-tae argued that her absentmindedness was reason enough for him to accompany her to Germany. She giggled when he made her a heart with his hands and as the sound of her laugh echoes in the present, Hyung-tae sighs heavily. Seo-ri walks home and crosses over a street on a walkway just as Hee-soo drops Woo-jin off nearby. Woo-jin sees her and waves just as Seo-ri pauses to look at the moon with her rabbit hold, which triggers another horrific flashback of the bus accident. The ring of a bell is heard as Woo-jin’s shaking hands cover his ears and his eyes fill with tears. He manages to turn around and stagger away while everything around him spins. Seo-ri offers the payment to Jennifer, who insists that is belongs to the person who did the work. They go back and forth until Jennifer tries to get up, which convinces Seo-ri to keep the money. When she turns to leave, Jennifer comments that Seo-ri looks beautiful tonight, like the moon. Seo-ri washes her hands and then turns from side to side as she takes in her appearance in the bathroom mirror. She waits outside on the street for Woo-jin and notes that he’s late. Chan sees her and assumes she wants to ask him about the internet and reminds her that she can use it whenever she wants. Chan suddenly notices Seo-ri’s clothes and asks, “Why do you look so pretty today?” Determined to record the moment, Chan takes out his phone and snaps a photo. Seo-ri keeps looking for Woo-jin but Chan waits for her to follow him inside. Woo-jin sits in the dark at work and stares at an online article about the bus accident. It lists No Soo-mi as one of the two people who died and he flashes back to her funeral. He saw Soo-mi’s classmates crying and when her father thanked Woo-jin for his attendance, he turned around and ran out. In the morning, Seo-ri is back in her regular clothes when she runs to Woo-jin’s room, only to hear from Jennifer that he got home late and left early. Seo-ri peeks into his room, regretful that she hasn’t been able to thank him for labelling the plunger. The man who ran into Woo-jin at the veterinarian’s office looks up and sees the teenaged Woo-jin in his doorway. That image is displaced by the present day Woo-jin, looking extremely fragile. According to a flashback, the doctor, a colleague of Woo-jin’s sister, first meet Woo-jin in 2005 and had trouble connecting with the non-responsive teenager. The doctor finally managed to get through to Woo-jin when he asked for drawing lessons. Woo-jin explains to the doctor that his memories returned when Seo-ri showed up. The doctor isn’t convinced that Seo-ri is the trigger because similar sounds and circumstances could have provoked his flashbacks. The doctor counsels Woo-jin to accept that Seo-ri is not the same person as the girl who died and urges him to find out how she’s different. Woo-jin wants to know what to do if he experiences another flashback and the doctor suggests thinking about a happy and comfortable experience. Tae-rin talks with Hyun on the phone and asks to speak with the female employee that she spoke with previously. Hyun hands the phone to Hee-soo but after she hangs up, she wonders who Tae-rin spoke with. An exhausted Deok-soo and Hae-bum wonder why Chan isn’t tired after their practice, but he shares, “I’m not tired at all. The world is so beautiful.” He marvels at the clouds only to be told that they’re gray and then describes a crow’s cawing as beautiful. Chan answers a call from Hee-soo, who has a question for him. Before Woo-jin returns to the office, he calculates how many more days are left in the month that he promised to Seo-ri. Chan and the team are on the water when he drops his oars, suddenly aware of what that itch in his chest is all about. Unaware of her effect on Woo-jin, Seo-ri smiles brightly as his new colleague. I spoke too soon because this hour introduced the romantic triangle between Seo-ri and her two roommates — the bubbly Chan and his subdued uncle. This has to be one of the most unusual triangles ever with one teenager, a thirty-year old woman who feels like a teenager and an emotionally delayed thirty-year old man. Without a doubt, Chan is the most emotionally mature of the three but he’s never been in love before so there’s no telling how his feelings for Seo-ri will impact him. What really twists the dynamics is the return of Woo-jin’s nightmarish memories of the bus accident and the fact that Seo-ri is the trigger. Up until this point, I’ve appreciated Yang Se-jong in this drama solely for his scenes with Ahn Hyo-seop because they have such good comedic chemistry, but this hour changed all of that. I know that Yang Se-jong is capable of so much more but he’s had to deliver a subdued performance to convince us of Woo-jin’s repression, an after effect of the accident. His emotional distance disappeared when he sought out his former doctor for help and confessed his deepest fear. Woo-jin was enveloped by his anguish and Yang Se-jong brought such depth to his character’s suffering and terror that it brought tears to my eyes. It was tragic to think that Woo-jin has been bottling up that fear for so many years and I can understand why he doesn’t want to experience those memories — he’s raw with unresolved guilt and grief. What a powerful scene. But Woo-jin isn’t seventeen anymore, plus the girl that he thinks died lives in the room under his stairs. It’s such a shame that he’s suffered unimaginably over a loss that never was. Seo-ri’s budding feelings for Woo-jin caught me by surprise because I didn’t expect them so soon. But that’s ridiculous because inside, she’s a seventeen-year-old girl. I’m more comfortable with Seo-ri’s feelings for what amounts to an older man than I am with Chan’s feelings for a girl who’s the same age as his uncle. There are layers of complications that make this romantic triangle feel downright weird at times. I’m going to trust that the writer will manage to smooth everything out so that the relationships make sense by the time we get to the end. One thing I don’t want is to see Chan end up with the stalker/potential-girlfriend, Ri-an. She’s just not worthy of the sweet Chan-chan. 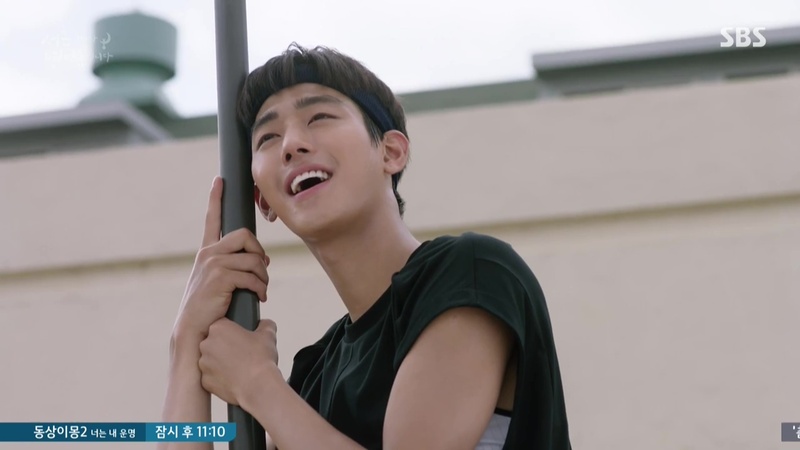 As Thirty But Seventeen prepares to deal with Woo-jin’s deep emotional trauma along with romantic angst, the sweet and funny character interactions are an even more welcomed respite. The writer has done an excellent job of giving the side characters screen time to develop the secondary relationships and I hope that continues. The clues continue to pile up as well and the questions that they raise heightens interest. Jennifer’s role in the lives of Woo-jin and Seo-ri grows with each episode and I can’t imagine how she figures into their pasts. That music box must be from Germany, so does she know Woo-jin, who grew up there? But then why does she know so much about Seo-ri’s violin? And of course we have the mysterious woman in yellow, who has yet to show her face. But my most burning question has to do with Hyung-tae. Why is he so haunted by Seo-ri and what was he running from the night of the accident? There’s obviously so much more to the man whose boyish heart belonged to the young Seo-ri. I was actually thinking the exact same thing. I laughed so many times that my husband came out to check on me. This is such a sweet fluffy show... that deals with trauma, PTSD, and life changing questions about aging and social pressures that come with age. I love it! It has sweet moments while dealing with serious issues at other times. It's not perfect but I like it anyway. I roared with laughter in the first minute. This episode was really good. This is the only show I'm enjoying now as LIFE ON MARS and ARE YOU HUMAN TOO ended. I think it's natural that Seo Ri would like Mr. Wong b/c underneath his grouchy exterior, he's still that kind-hearted seventeen-year-old boy. The reason poor Chan feels like he's aging from taking care of Mr. Wong and Seo Ri is because in many ways they are both still more immature than he is. I don't mind the triangle because this one feels organic to me. They all connect on a deep level and it would be natural to like someone who you connect with and are attracted to who seems to treat you with kindness - even if it's with a dose of grumpiness. There are shows where the guy mistreating the girl is just unforgivably mean, but I don't think Mr. Wong's done that. So I can see why 17 year old Seo Ri would like a hot guy who acts as her savior and protector even though he tries to hide it underneath indifference and tries to block other people. I love that this show is very funny, but also very deep. What Jennifer said while gazing at the moonlight was very profound as have been some of her other quotes. That be careful about trying to rush time b/c you are in pain b/c the pain will dissipate naturally over time if you are willing to fully experience and process, but if you avoid it, you also avoid other wonderful things and you actually never truly heal from that pain. I agree this show is different than others with a male lead mistreating the female lead. I may be frustrated by Woo Jin's hot-cold act at times, but it's totally valid as a side effect of his trauma. It reminds me a lot of Daniel Choi's character in Jugglers, who was also emotionally guarded because of a trauma. I feel like Woo Jin is the right amount of emotionally-guarded. He has PTSD, but it hasn't really gotten in the way of his growth into a nice, likable person. He is aloof, but not in a mean or drastic sort of way. His boss and coworker get frustrated with him but you can tell they really like him. He's so good to his nephew. Even though his nephew's friends are constantly showing up and disturbing his peace, he doesn't ban them or try to lay down the law. I love how Chan's friends were like "we can help finish up the onions since you're going to drive us and we don't need as much time to get to school". They didn't ask for permission; they just announced it. Woo-jin had a "I did not offer that..." look and didn't try to put up a fight. He drove those boys to school. It's awesome to see a male lead treat the female lead nicely, and it's equally awesome to see him treating other people nicely too. Woopsie, meant to write Mr. Gong. Don't know who that Wong fella is. I'm glad you kind folks on DB got the gist anyways 😁. 2) Jennifer isn't wrong about Cremona, ITALY violins being very expensive, but I wonder how a high school student got her hands on one--that's a professional violin and very rare. I have to ask, I've seen multiple people say this and I feel like I'm missing something? When did seo ri say she didn't know that? She was just surprised that Jennifer knew. Unless there's a subtitle difference from where I'm watching and other people are? I will say it is strange the violin repair guy didn't comment on it if it's so rare. Unless he brings it up after it's fixed or he has nefarious other motives to sell it or something ( given the actor my brain jumped to evil immediately which isn't fair of me lol). I kind of think she knows the value of the instrument which is why she was so insistent in finding it initially. I’m just surprised she has such an expensive and rare one. But it’s possible, but fairly improbable. I’m not a teacher, but I’ve played violin all through college (music was my minor) and I tutor my daughter as she learns through the Suzuki violin course. Do you really want to know what I think? She definitely doesn’t look like a professional or even a good amateur, because she’s so stiff and you can tell by looking at her fingers on the fingerboard because they are not fluid and also she doesn’t know how to vibrato which can’t really be faked and it look natural. Vibrato is important in stringed music, it’s what makes a note “sing.” I rarely see any actors do it in shows. Her child counterpart is better than her and I, like @kimbapnoona, wonder if that girl actually plays in real life. Both the adult actors do move their bows pretty well but real violinists really dig their bows into the strings. I think actors are scared they’ll hurt the violin 😂. But overall, it doesn’t really detract from the viewing experience. You know they’re not really violinists, but that’s okay, they’re doing their best and I’m watching for the story, not to nit-pick at their violin form. It’s a really hard ad technical instrument to play. And you need lessons just to know how to hold everything and position yourself. It took my daughter 2 years just to get her bow hold right and six years to learn how to vibrato. So it takes a long time to learn how to play just mediocre. That's the reason (or excuse) for me not to pick up the violin, @ally-le! It takes a while to learn to play with even an okay sound and really diligent practice to play remotely in tune although my violinist friends try to convince me otherwise. I think I will abuse my fingers elsewhere....like pressing the FF button on my remote. I did a little digging and it looks like Park Si-eun's father is a famous SK singer so it is not too far-fetched to think that his daughter has musical training growing up. This is my speculation: I think Jennifer has to be connected to Seo Ri's mother somehow. I mean, why else would she work at that house where Seo Ri's dad built? Also, didn't Seo Ri's mother passed away when she was like 5 years old or something? I don't think she would've known the true value of that violin. It seemed her mother just wanted her to enjoy music and not necessarily delve into financial/industrial aspect of it...? Does her exact age matter? My point was Seo Ri was a young child and due to their personalities and dispositions, I don't think her mother would've shared that information with her. My inference comes from this scene: in the car ride going home, Seo Ri feels conflicted about playing violin and consults her mother about her dilemma. Her mother told her to enjoy it instead. To me, I understood that Seo Ri's mother didn't want her to get all absorbed in the technicality of music but rather wanted to foster her creativity and passion for music. I think this is the reason her Mom gave her the violin in the first place. Now, let me pose this: if she had told Seo Ri, here is my expensive, handmade, precious 200 year old Cremona violin that I want you to have. Would Seo Ri have wanted to play it? I'd say probably not. Seo Ri might've been afraid to use in case she ruined it (she's careless and she's clumsy). Or she might've been burdened with something so extraordinary, that she wouldn't like music (again, her worry about techniques). Her mother allowed her to believe that it is her MOTHER's violin that she wanted to have and not the 200 year old Cremona violin that it is. Does this make sense? "Does her exact age matter?" - it mattered enough to you to mention an age.😀 "
I was not specific about her age. I only threw out a number in which you questioned and only responded to your comment: "she looks a lot older than 5 in the scene where we see her mother giving her the violin". I dont question by the time of her accident, she would've understood the pedigree (by this time, her mother has passed away). I said that when upon first encountering the violin, I don't think she would've been aware of the pedigree. I notice in the subs for this episode, Seo Ri keeps referring to it as her Mom's violin. Yes, probably no one thought SR acquired it on her own. Like @bbstl said, Seo-ri's violin once belonged to her mom (who I'm assuming used to play the violin pretty seriously as well). Their family seemed well off enough to possibly afford a violin like that if Seo-ri's mom was really into it? I still don't understand why Seo-ri didn't know though. A detail they probably missed. Maybe the violin was switched out years ago when her aunt and uncle took off. Maybe they knew the value even though a 17-year-old girl might not completely understand it. Maybe Jennifer was talking about the violin that she KNEW the mother gave to Seo-ri but didn't see this long enough to know the violin wasn't the original one from the past? That would explain why the luthier didn't tell her the value - because maybe it wasn't the real one from her past. Jennifer is definitely connected to all of their pasts and she too has some sadness and pain but I think she will be the one that helps Seo-ri and Woo-jin find their way back so that they can embrace the present and each other. I'm loving this show and how it makes me laugh after the last two intense episodes of AYHT. @stpauligurl I I have a theory too. That Seo-ri knows what the violin is worth, but she doesn’t want to make a big deal over it, because it is so special to her, and doesn’t want someone to take advantage of her with it. Also, I don’t routinely tell people who I meet what my violin is worth or how old it is, because although not as expensive as an Italian Cremona it’s expensive enough to be stolen and Seo-ri probably wants to protect it from at least that. @stuartnz—as criminal as your short visit was to Florence, I made it all the way to Italy last year and never made it there! However, I did meet a modern luthier trained in the ways of the masters and was able to play some of her violins in Northern Italy while my daughter was there playing in an orchestra there. They played in Venice as well She’s hoping to go to Prague next year, another historically significant violin city (my first violin was made there and it’s been passed around my extended family for the past 30 years). One day, we want to go back to Italy and Florence is on the list this trip. Her Mom was accomplished enough to take over Seo RI's tutelage when SR's "feeling" technique butted up against her more traditional teacher, so there's that. And Seo Ri was kind of a ditzy kid who forgot her own gym clothes, etc. but still I agree that teachers and others at competitions would have noted a special violin like that enough times that she'd have its value fixed in her brain. Even if her Mom had died before telling her the background of the instrument. The luthier should have recognized that some random Korean repair guy isn't up to working on this instrument . . . unless he is up to something nefarious! Oh wait, this isn't that show. Or unless he secretly is Super String Man, the Korean violin prodigy who was killed in a car accident . . . with his beautiful Korean ballerina fiancée . . . in Germany dun!dun!dun! Or were they??? But... did Seo-ri not know it? I thought Jennifer was telling the boys why they couldn't afford to replace it, not telling Seo-ri about her own violin. Hmm. There was a group of prodigies in the last place I lived, and they wouldn’t have blinked twice at this violin. Apparently even if your family can’t afford it, there are plenty of rich old people ready and willing to gift you a good instrument. In Korea, especially, where the rich have tons of cash and like classical music, I would assume it would be common. I kind of agree with this. Although, there has been no mention of a benefactor for her as of yet. Even if it was her mom’s, that’s still a lot of money. Where did you live to have such talent? Cincinnati. Starling program. I accompanied one of them once. It’s very humbling to be outplayed by a 12-year-old. Oh, that’s so true! Excellent point! Although I think frequently ownership of the instruments is retained by the rich people or their foundations, at least in Western countries (tax law breaks). Aww, I actually hope Hyung Tae and Seo Ri meet up soon, because Seo Ri clearly misses her friends from her old life so much! I enjoy watching this show ever week. But I really want for SeoRi to start finding clues from her old life. So we move closer to Woo Jin finding out about SeoRi to help him deal with the years of guilt and anguish. The love triangle between WJ-SR-Chan can be problematic. And once Hyung Tae comes in the picture, it can just get more complicated in the lovefront. This show is so fluffy, it's basically a teacup Pomeranian snuggling inside an actual teacup. Or a baby penguin. I can't decide. But I fell in deep love with it this week. Shin Hye-Sun is a genius. I understand that the show is trying to emphasize that Woo-jin will fall in love with Seo-ri all over again despite not knowing she's his first love. But every episode I am resisting the urge to crawl through the screen, shake Woo-jin, and tell him he loves Seo-ri and Seo-ri is very much alive. There would be no need for angsty trauma flashbacks (although they do give Yang Se-jong a very nice chance to display his excellent raw emotions), or love triangle misunderstandings. But a drama's gotta do what it's gotta do. I have faith that But 17 will handle it flawlessly. I do hope that they don't drag out Woo-Jin's pain for the entire series. It's too painful to watch him go through that. I just want to give him a hug. I agree. 13 years is already too long for him to bear the pain. The way @teriyaki described Yang Se Jong acting brought tears into my eyes. I feel the same way about that scene. His emotions were so raw and desperate it made my heart ached for him. Gosh, that really did feel like my heart was being dragged out of my chest 😭 ouch. It was an episode with quite a lot going on. To begin with there was so much to laugh over, and the whimsical OST felt like just the right background music for the weird and wonderful antics our Seo Ri was going to get herself or her friends into. From the masked onion peeling to frilly socks, we had the best comedic moments. With plunger and mismatched shoes, we get poignant scenes. Hyung Tae's sadness and Woo Jin's trauma were very affecting. There's so much that's set up this episode for all that's to come... a mysterious woman, a new job with old as yet unknown rival Tae Rin, and heaps of revelations to make. I feel a little overwhelmed by all that's going to happen. I love this drama so freaking much. I really do enjoy it a lot. I like the story line so much and the casts are doing an amazing job with their roles. Fate has now brought two lost souls together. On the day Woo Seo-ri became unconscious Gong Woo-Jin consciously closed himself up emotionally to cope with the feelings of guilt and loss. It was like fate made them wait for each other to grow emotionally together. The chemistry between the two actors Shin Hye-sun and Yang Se-jong is starting to light up as they interact and finally fall in love in this drama series. The bubbly Seo-ri has awakened Mr. Gong’s emotions. Today's episode was so sad. Especially Woo Jin scenes. He has to fight his trauma and fall in love at the same time. That's quite a stress for him. With every new episode, I want Seo-Ri and Hyung-Tae to meet, goddammit. I want answers. So many close encounters and they still haven't met. But apart from that, I am enjoying Show's brand of humour. The wailing under the stairs turning into Seo-Ri crying because of onions to the students helping peel onions with masks on to Seo-Ri trying make-up. I love, love it. I really like this show, however forward momentum is needed. It has been stagnant for too many episodes. That being said I actually think all the crushes are natural in this drama. Seo-Ri's crush on Woo-Jin and Chan's crush on Seo Ri. Woo-Jin is a good looking older guy who has despite being distant has helped her a great deal. Chan feels a kinship with Seo-Ri because they get along a great deal and she is as cheerful as he is. As for Woo-Jin's crush on Seo Ri, she is utterly adorable. She reminds me of Sae Woo from Wok of Love, except she is actually wiser in some ways. I love Chan's and Seo Ri's scenes. I already feel sad for Chan. His heart is going to break into pieces. SR is 17 years old trapped in the 30 years old appearance. Chan actually do not care for her 30 years old look but see her inner 17 years old and that is why he started falling for her. SR being a 17 years old started fancying Mr. Gong who looks like a 30 years old grumpy man( though the actor looks much younger than a 30 years old man) seems a bit odd to me. Her mental state stopped at the age of 17 years old and that is why she referred him as Mr. Gong. Despite of her needs to mature up fast, she cannot have a 30 years old mentality instantly. She is better suited for Chan in my mind but shipping she and Chan is doomed! As a protective mom, I do not want to see him suffer from a heartbreak because of his uncle. I wish there is someone for Chan but the annoying school girl is no go for him!! He needs someone better, nicer with a heart of angel. I also feel bad for her doc friend. He has nursed her for so long but no end game for him and SR. Poor guy. I would like to give him a chance or two to win her heart. I agree with you about everything, everything except for Woo-jin's crush on Soo-ri. I'm still having the same problems with it I had last week, although I think shifting gears from "I have a crush on her" to "she reminds me of someone" was wise. An episode like this makes me reconsider the whole 'fence' thing. Especially when Woo-jin's characterisation is starting to work a lot better. I think you misspelled fence here. LOL. That's google translate for you. It doesn't speak Chan. Come join us in the play yard! We’ve got music, Choco pies and Lovable Chan down here! This episode was almost perfect so I was very tempted. But like Woo-jin, my heart won't let me move into the playpen just yet. Even if we do wear masks to hide our tears. Are there oppas up there? I've been hurt too much and just came out of a serious drama relationship that kind of... petered out. I'm still nervous about the main OTP, although they dealt with it much better this episode. To pre-empt the conversation, I was tempted to come down after the next episode but the final scene put me back on the fence. @leetennant, I actually quite liked that scene. But I’ll elaborate in the next recap. I also liked that scene for reasons I will also elaborate on in the next recap. However, I just don't want a romance plotline in this show at the moment. So here I am... on the fence. Honestly, I was intrigued by all this fence talk so I watched all the episodes and now I'm here in the yard too, matching socks. While we are fence talking, I really love the directorial (or is it writing?) touch that the gang was peeling onions enclosed in a pen/fence. It not only characterize them as being so thoughtful of Deok-gu, it also further accentuates the menagerie symbolism. They are like that abandoned little chic, being cared for and comforted in this doll like house. Yeah I really liked that too. The only reason it didn't get screenshot last night was that I wanted to spend some time watching the time rather than just gifing it. This... hasn't happened yet? You're even more skittish than I am. I know this sentiment has been expressed many times but I just want to give a shout out to the casting director for the show. I cannot imagine anyone else for EVERY single role. Shin Hye-sun, Yang Se-jong (and their younger selves), Ahn Hyo-seop, and Ye Ji Won all inhabit their characters so well. If they are all lesser actors, these characters will easily fall into annoying caricatures. This is the case especially for Ahn Hyo-seop, I thought he was extremely green as an actor in just his last drama Father Is Strange. It is hard to play a character that is lovable but dim and never feels stupid. I am still hopeful that the violinist will not turn into a frustrating annoying bitchy character since her phone interactions with Seo-ri shows that she can be pleasantly genuine and professional. My question for this episode: why does that mystery stalkerish woman only has one dress and one pair of shoes? Agree about An Hyoseop. There are a million ways to make his character tacky/annoying/over the top. He is playing Chan perfectly. My sentiments exactly! I was less than impressed by AHS in Father Is Strange, he was so awkward there. But I love him here, he plays Chan with such a big heart it’s impossible not to like him. I rarely get a second lead syndrome but I already feel so sad for him. "Yang Se-jong brought such depth to his character’s suffering and terror that it brought tears to my eyes." About running Hyun Tae in the past, I think he's running to the hospital to check on Seo Ri. Though I'm really not sure about that. Haha. I also want him to meet Seo Ri. He's so devoted to her. I’m thinking he’ll bounce back just fine from heartbreak though. He’s feeling and empathetic towards his uncle and would never want to hurt him either. He’ll be happy because his uncle is happy. Yes, I also believe that. Given how much he loves his uncle and how much he wants him to be happy! Aww! Group huuuuug! Agreed. Chan wants his "old" (younger) uncle back, the fun and lighthearted one he remembers from his childhood and he'll want that more than he wants the girl. This episode is my favorite so far. It really cemented Woo Jin's character for me. I also almost cried at the end when he sought out the doctor. Seeing how desperate and scared he looked, it totally makes sense how a bright boy could turn into such an emotionally withdrawn adult. I completely agree. It was the first time his character really fell into place for me and the first time I felt the 'wacky antics' weren't just filler to paper over a lack of plot. So far the writer has given depth to each of the main characters. I also like the use of symbolism to convey the meaning of scenes. Onions symbolize protection. Socks symbolize comfort and home. When Seori brings them into the residence, she is gaining the sense of protection, comfort and home from all the people around her. To me the onions represent her lost youth and dreams - they are essentially her trauma. I'll elaborate on this more in the next recap. One of my favorite scenes was Seo Ri bringing the watermelon to Jennifer and imitating her "profound quote blah blah blah, by important person" (I'm paraphrasing grossly). That was too cute. Rian knowing Cicero made me look more closely at her. She may not be the usual annoying supporting character. The little things in dramas that Beanies pay attention to. Makes me feel warm and fuzzy inside. I'm having a little laugh inside at all of us like self-appointed Chan aunties. When Ri An recognized the Cicero quote we all mentally cocked one eyebrow and looked over our glasses at her for a moment, thinking, mmmm-hmmmmm, we'll keep an eye on you now. LOL, this was probably the funniest comment I’ve read today 😂 I found Ri An quite compelling, there’s definitely something more to her! And in addition, the Chan Squad doesn't blow her off. That's a big deal when the boys aren't ripping on her, right? Seo-ri's cute imitation of Jennifer was one of my favorite scenes, too, and Robomaid actually made a joke in response! I think there was even a hint of love in Jennifer's eyes when she looked at Seo-ri, and she's obviously going out of her way to help her-- I'm so curious about what her deal is! Does anyone know why Jennifer wears her shoes in the house (when no one else does)? But these have high thick square heels just like her outdoo-- Oh. Multiples. Nevermind. it's suuuuch a cute show and it's so calming and the people behind it have done some of my fav stuff. shin hye sun is perfect and a good actress and although hyoseup is def the weakest i can stomach his scenes with the two of them. already i think their rship is so beautiful. yang se jong is really fun!! I love it that kid Hyung Tae looks so much like the adult version. You'd figure with everyone living in the same house that Seo-ri would've mentioned at some point that she'd been in a coma for the past dozen years and that's why she's got no job experience or muscle definition or humorous anecdotes from between age 17 and 30.